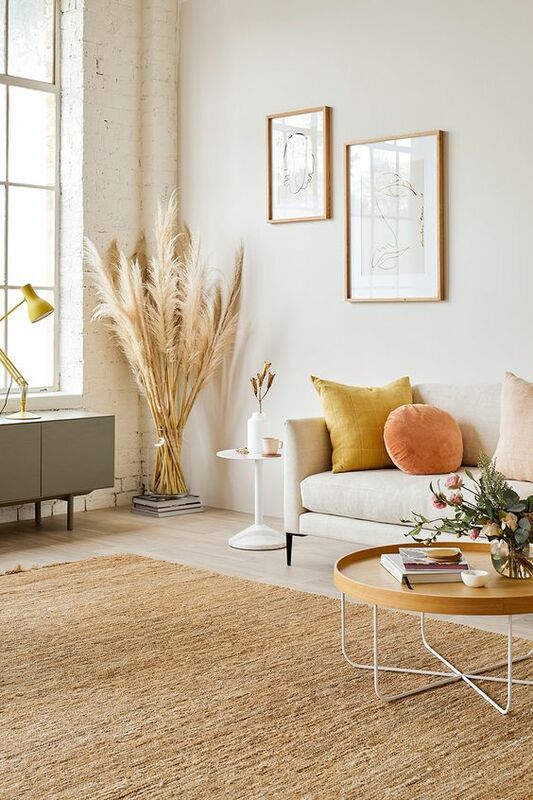 Home Decorating Trends 2019 – Mustard Yellow! 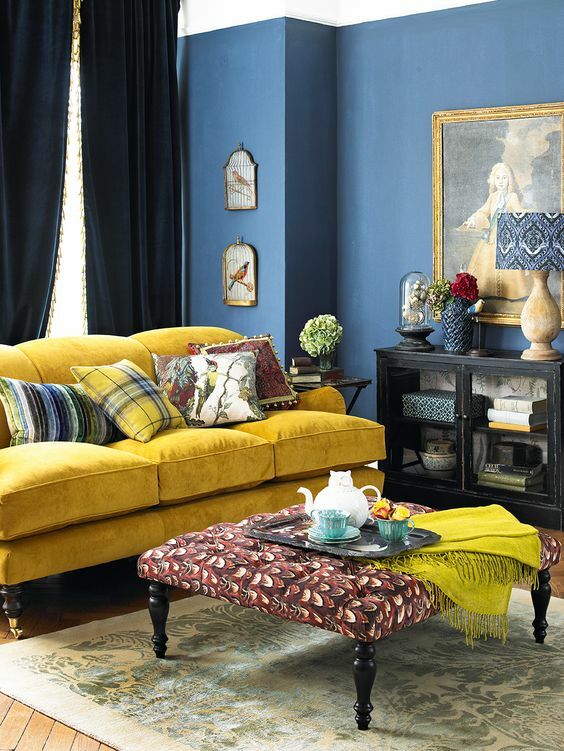 The classic of trend of blues and gray with white and a dash of yellow is back with a twist, using mustard yellow. This is not a traditional daffodil yellow but a warmer mid-tone, rich and jewel-toned like other colors that are on-trend this year. This yellow is a home decor color you can be bold with. The upside is it always makes a statement. The downside is, its not always straightforward to work with. A wall painted in this color is striking, or simply use it as an accent color. But it can give your decor a new dimension that is rich and worth exploring. 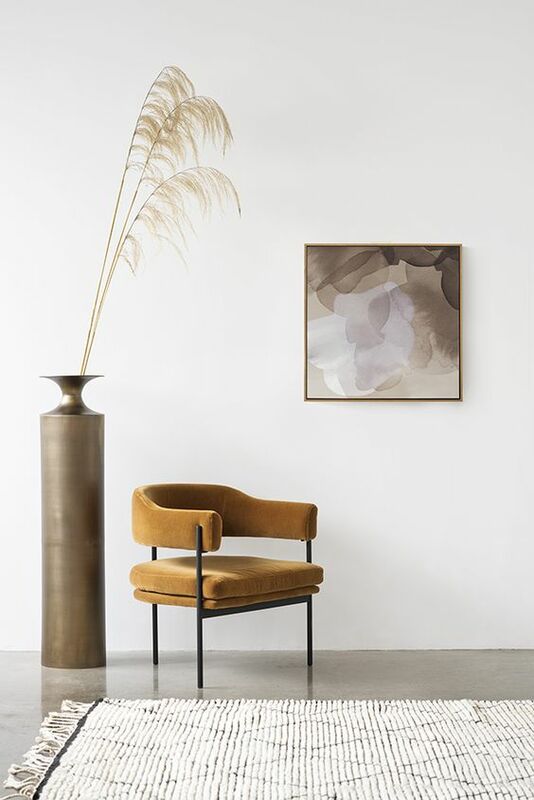 While white, gray and other muted painted walls are classic, if you feel like you would like to introduce a contrast, mustard yellow could be something worth considering. It goes with so many other colors, including, whites, blue, grays, pale blue, hunter green, lavender, sage, burgundy, and even black. If you are using it to paint walls or furniture, you might want to look at the colors that go into that particular hue. Have you have ever noticed that over time some yellows look green over time? This is the undertone is peeking through. Read up on undertones here. On the positive, there is a bit of a spectrum when it comes to this hue. From olive green to chartreuse yellow and even gold, it can work as a neutral in traditional and modern rooms. 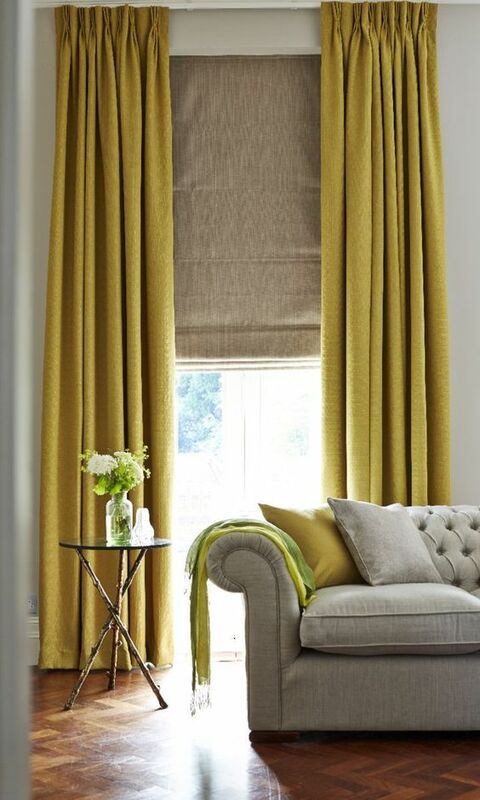 A mustard yellow Roman shade or curtains will give rooms added warmth. Use textured fabrics, maybe a throw, beautiful pillows or a slipper chair. Its fresh, classic and inviting. What makes or breaks any color scheme is getting the shade right. 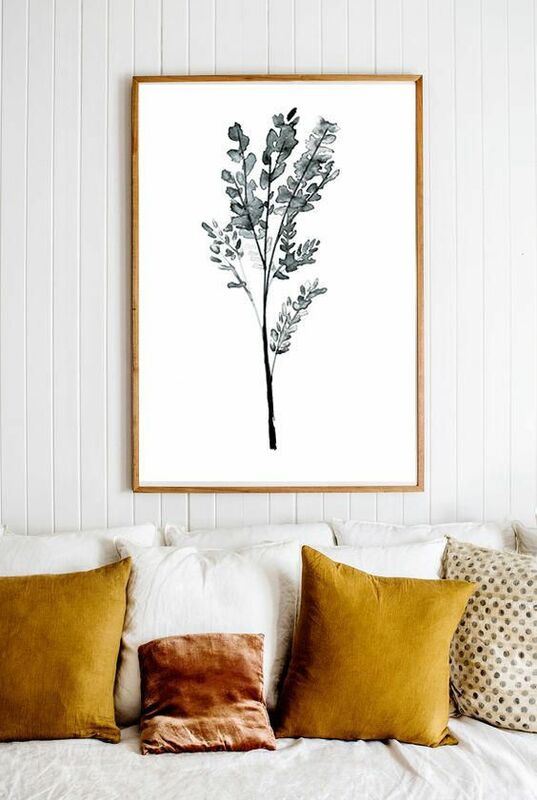 This can be the difference between amazing home decor and something quite dreary. Don't be afraid to mix your mustard yellows and layer your look. And while curtain fabrics are impressive, they can be expensive especially if your not quite sure about the new color change. Try using stencils on small areas to test out the new color look. Stencils aren't as hard as you might think and can be used on walls, floors and furniture. 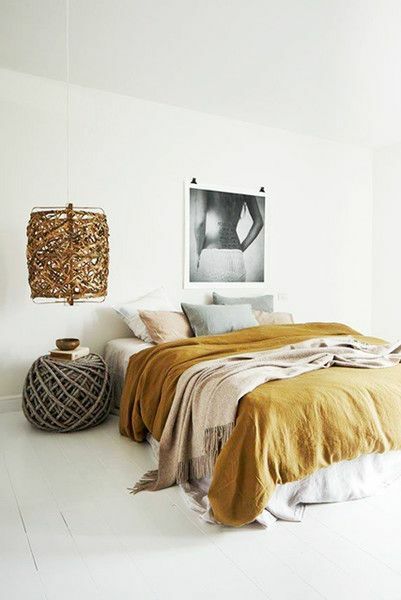 If this is not a hue you have used before, try micro-commitments using bees wax candles, marigold tumblers, or pillow cases to see if it suits your rooms. 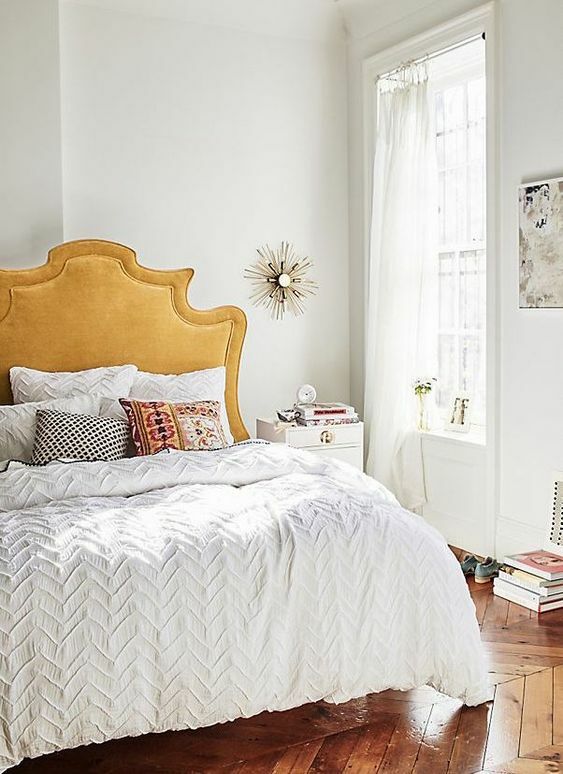 Graduate to a mustard yellow lampshade with contrasting colors that match your current color scheme or a bed head in velvet for a bigger commitment. If you love the idea of a new pop of color why not create your own ottoman or paint some furniture. The great thing about mustard yellow is that it works the best when it challenges its surroundings. Your room decorating ideas suddenly look better. 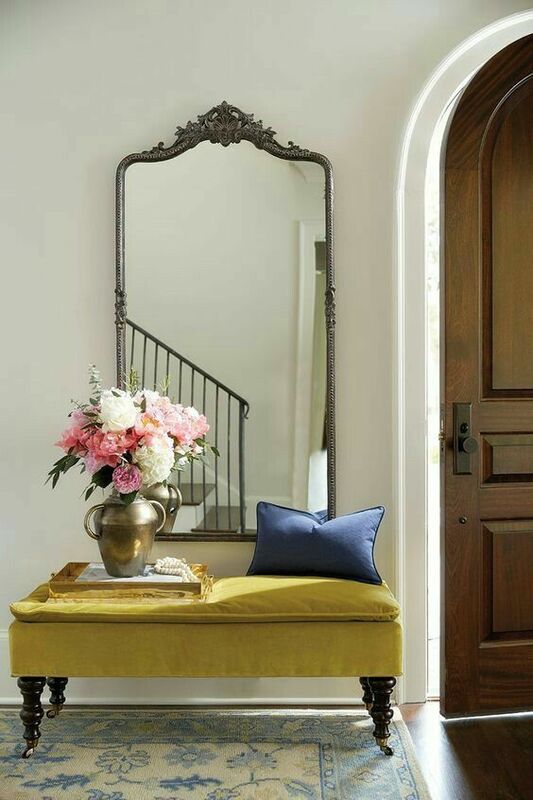 There is at least one mustard yellow that will speak to your muted gray or white color scheme. Don't let your existing color scheme get in the way of great room decorating ideas. Used in classical English and French decor to country decorating, adding mustard yellow to modern or boho-chic decor is super stylish. Bright or dark, tailored or eccentric, it changes depending on the colors and styles beside it. Next to red, mustard yellow takes on a reddish hue. Coupled with green, a citron hue suddenly appears. You never really know which mustard yellow you are taking home. The best advice if you haven't used mustard before; start small. Pillows, an ottoman or footstool, vases, lamps, plates will give you a look without making a big investment. Mustard yellows that are pale, soft and muted are easiest to tackle. Strong mustard tones can take over. 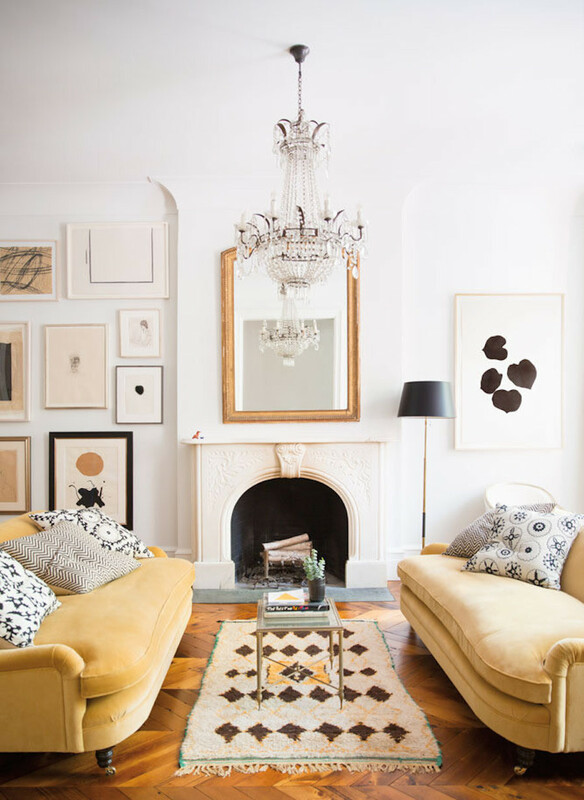 Limit large scale pieces to one to ground a room, two if you are very confident. Paint walls in soft tones or stronger shades for accent pieces. It looks great with pink, green, purple, gray, blue and orange. 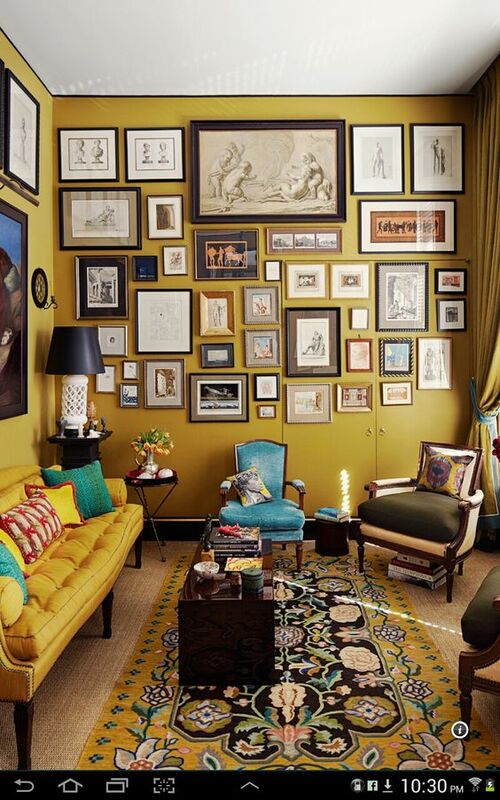 Try using different shades of mustard yellow in the same room to layer your look. Ground it with another color. 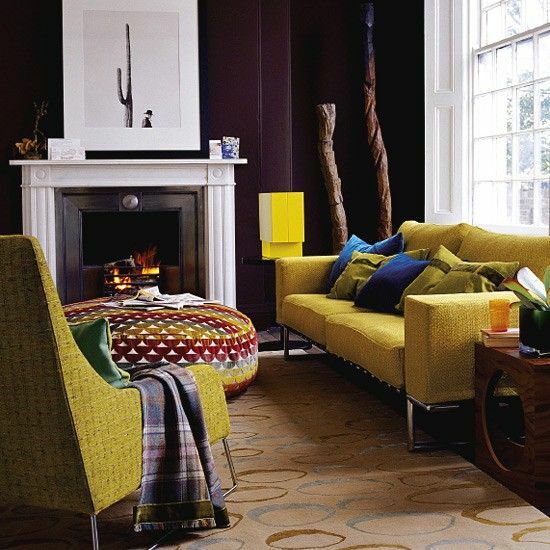 This connects the various mustard yellow shades and gives the eye somewhere to rest. There are so many amazing mustard yellows. If it's time for a decorating shake-up, this could be your color. It looks good with other palettes and really shines when you play with it. Where can the mustard headboard be purchased. Here is the bed but I think you may need to ask for a custom order to get that particular shade. Its not showing anymore. Best of luck.. let me know how you get on.